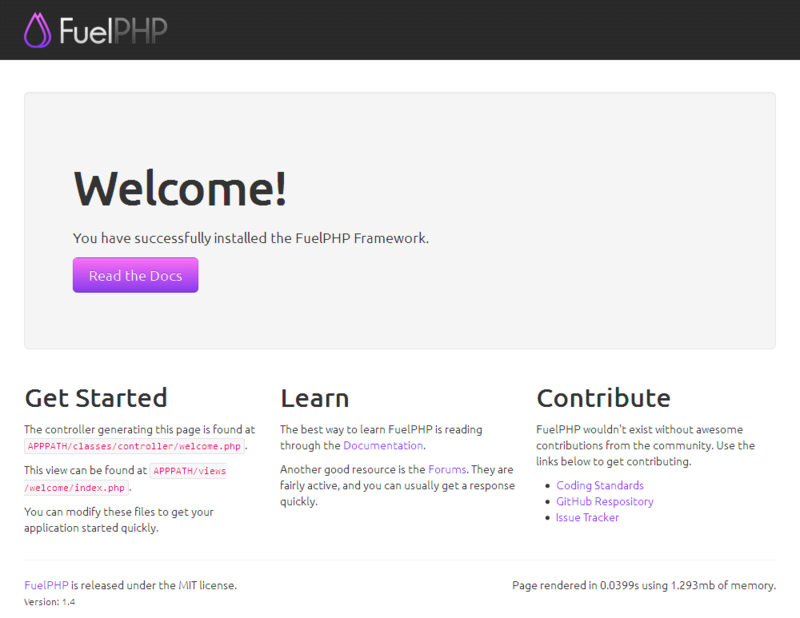 さくらのレンタルサーバで FuelPHP を使ってはてなハイクブログを作る－ViewModel を使ってみる編 #FuelPHPAdvent2012 - TMD45INC!!! * Set error reporting and display errors settings. You will want to change these when in production. * Using statuses/public_timeline (Japanese Domain). 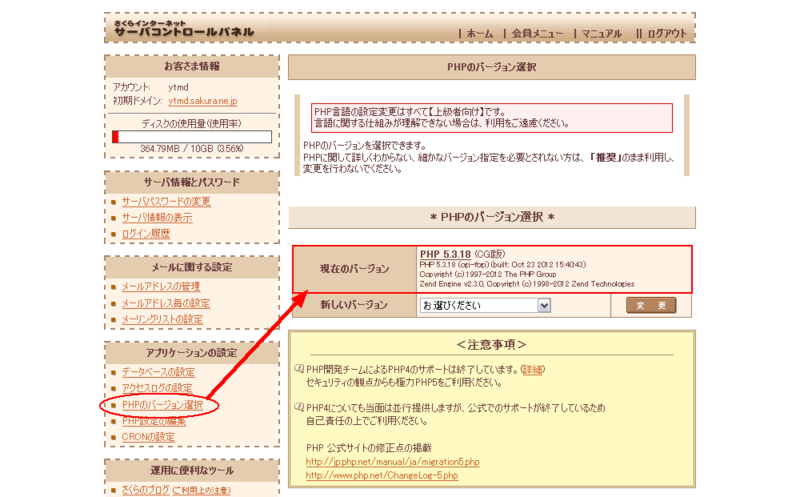 , $since        = "Mon, 26 Nov 2012 15:53:43 GMT"
'header' => "Host: hoge.sakura.ne.jp\r\n" . "User-Agent: " . Input::user_agent() . "\r\n"
* and show blog style page. 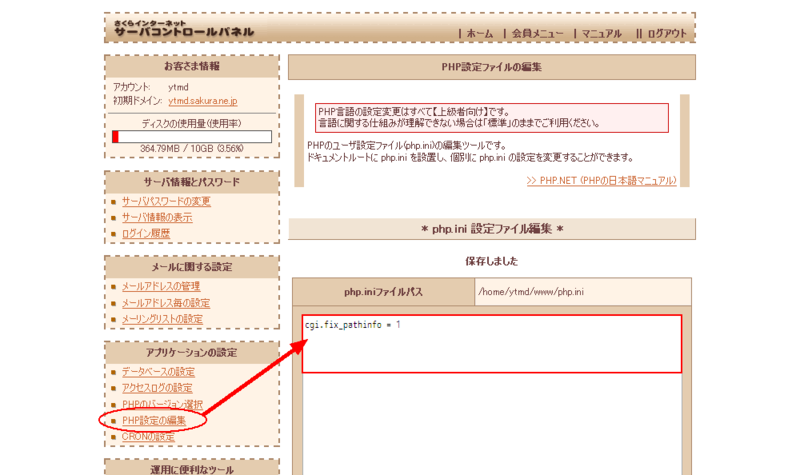 * Now 'keyword' is Hatena user id 'id:hoge' style. 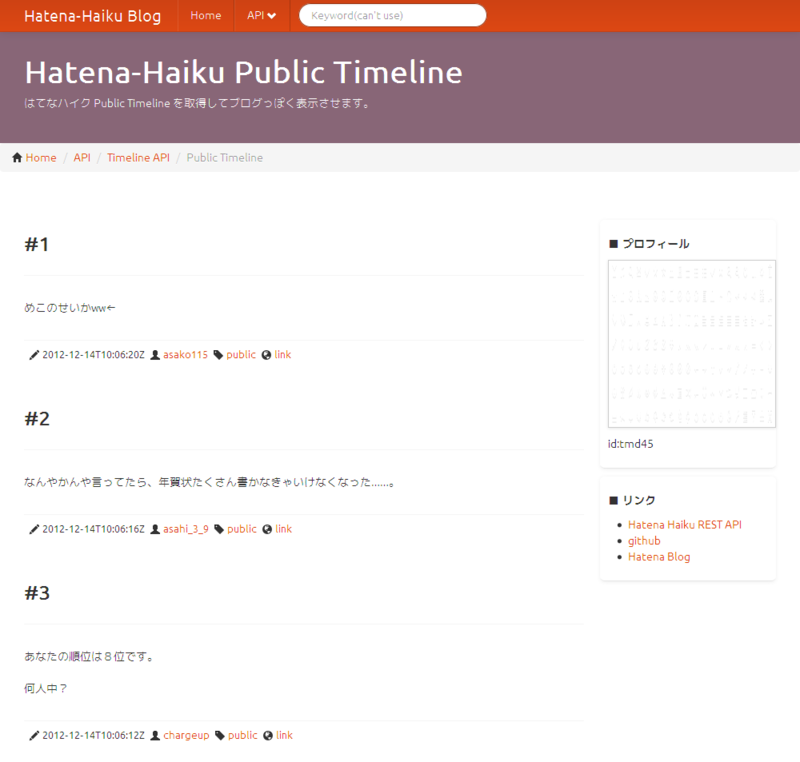 * Hatena-Haiku Blog Public Timeline ViewModel. * Get Hatena-Haiku Public Timeline. * and get data from cache in a time. 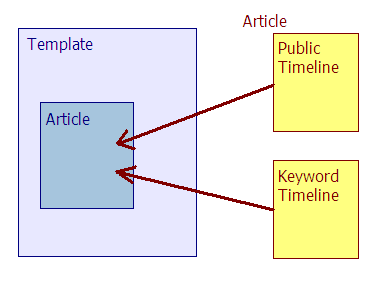 * Hatena-Haiku Blog Keyword Timeline ViewModel. * Get Hatena-Haiku keyword timeline.